Max Altitude 4000m / 13123 ft.
Manaslu Tsum Valley is newly opened trekking route in 2008 for travelers and rated as one of the best places to visit in Nepal. 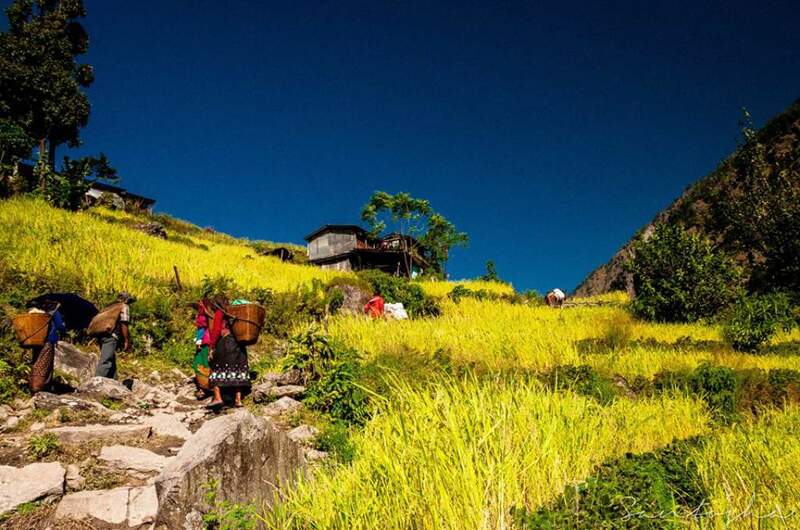 It is a wonderful journey into the isolated and undiscovered wilderness of Valley, intact for several years and the local tribe who have been preserving the centuries old culture, language and practice on the foothills of mighty Mt. Manaslu — meaning “mountain of the spirit”. It truly is an excellent chance to feel the mystical experience amid the sacred Buddhist monasteries and the high Himalayas. Trekking to Tsum Valley begins with a scenic 7-8 hours drive from Kathmandu to Arughat Bazaar and ascends with Budi Gandaki valley through the beautiful landscapes, terraced fields, long suspension bridges and mixed ethnic groups village. We start from mere elevation and gradually gain elevation, reaching until 4000m at maximum, which makes it ideal trek for beginners or first timers to discover the hidden natural and cultural beauty o Tsum Valley. Manaslu Tsum Valley Trekking falls adjacent to popular Manaslu Larkya La Pass trekking trails and follows the same route until new bridge near Lokpa and turn right towards Chumling village. We walk pass through monasteries and small chortens along the way to Chokang Paro, which has more monasteries to visit and also a nice viewpoint to observe the beautiful range of Ganesh Himal and Shringi Himal. The local people “Tsumbas” are found in this region who are originated from Tibet then migrated centuries ago and follow their own form of dialect, language and cultural practice. 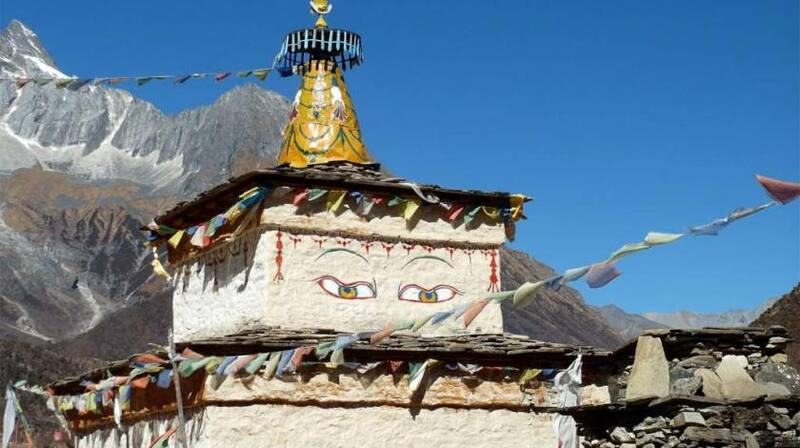 We will continue our trek to Rachen Gompa and further until Mu Gompa and visit more monasteries, encounter with locals and monks, learning about the typical Buddhism practice and retrace our way back to the place from where we have started the journey. With all the pleasure and peace in the soul, we descend towards Arughat Bazaar, a trek ending point and stay overnight before driving 7-8 hours to Kathmandu.